Do You Know Who Invented the Products You Use? I love learning new things. So I get excited when I learn facts about people, products, things and places that I sometimes take for granted, for instance, I use Crest toothpaste, sometimes drink Folgers coffee, I like to pop in Bounce fabric softener in my laundry, and before I stopped drinking soda I used to love slurping back a can of Crush soda (Orange or Strawberry). Well I was very surprised to find out that these products and more were developed by an African American chemist and executive, Dr. Herbert C. Smitherman, Sr. when he worked at Procter and Gamble beginning in the 1960s. 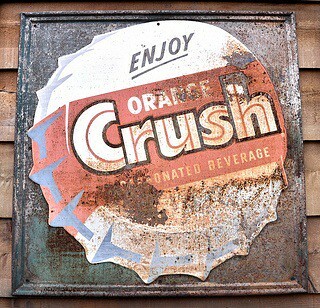 Dr. Smitherman developed several flavors of Crush many of which are still on grocery store shelves today. Now I’m sure some of my friends from high school or even college will tell me that I knew this little known fact, but I honestly can’t recall—which is sad, especially since I have a degree in Black Studies. Uugh…well let me continue sharing what I found out about this great innovator. Dr. Smitherman was the first African American hired by P&G with a PhD in physical organic chemistry, and he continued working for the company for 29 years, helping to develop numerous products for them, while also helping to make P&G a more diverse company, as he recruited a great number of African American professionals to work for the company from the 1960s through the 1980s. How many of you use (or used) Safeguard soap? Well be sure to say, “thank you” to the late Dr. Smitherman, Sr for developing that for your daily use! Developing products and creating a more diverse environment for P&G aren’t the only things Dr. Smitherman did in his lifetime. Besides earning his PhD, the only child to an Alabama pastor (also a community activist), also served in his community, as an active member of the NAACP. He and his wife of 51 years, Barbara Flowers Smitherman, had six children and 14 grandchildren. The couple met while they attended college at Tuskegee Institute in Alabama. After retiring from P&G, Dr. Smitherman pursued a career in education, serving as vice president of academic affairs for Wilberforce University. Dr. Smitherman then started Western Hills Design Technology, a high school that was created to assist African American students in math and science. He later joined the Cincinnati Public Schools Board of Education as an assistant to Superintendent Mary Ronan. Every time I purchase a P&G product developed by Dr. Smitherman I will smile proudly at the cash register and all the way home. 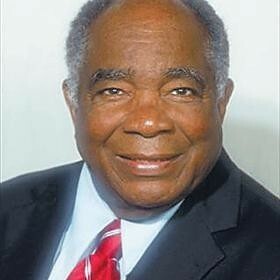 Thank you Dr. Smitherman for your amazing contributions to the world. Please share this story and other historical records of contributions made by men and women of color, and the African American experience, as it oftentimes goes overlooked, and has increasingly been removed from history books given to students in grades K-12. I don’t recall reading about Dr. Smitherman in any of my K-12 classrooms, and he’s not searchable on Wikipedia, so I know that the majority of students today don’t know about him and other pioneers, innovators, and leaders—don’t forget, many of them go to Google and Wikipedia for their research and fact checking. Knowing this, let’s do our part to keep the light lit and the information churning! Copyright 2014. All Rights Reserved. Natasha Foreman Bryant. 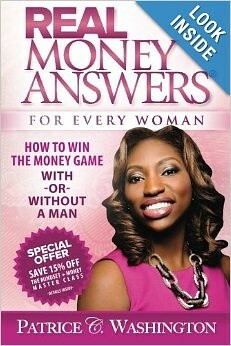 Invest in Your Life and Purchase Real Money Answers For Every Woman: How to Win the Money Game With or Without a Man. Let me start off by saying that this may not be like any other book review you have ever read. Okay, now that I have prepared you, let’s do this! I absolutely love Real Money Answers For Every Woman: How to Win the Money Game With or Without a Man. It encourages women to Woman Up and get their lives right. I have known Patrice C. Washington personally and professionally for roughly three years and it’s both an honor and privilege to write this review for this awesome woman, wife, mother, author, and entrepreneur. Hopefully after reading her book you will do the same, and share the book with others. Patrice has done an amazing job taking the lessons she learned the hard way and combining them with the lessons she has learned from others, and those she has taught her clients over the years, and she is now sharing all of this proven wisdom with her readers. Regardless of your financial situation, the health of your financial portfolio, your job title, or knowledge of this topic—you should read this book and share it with others. I intend to purchase this book for family members, friends, and my mentees. I intend to purchase this book for women who know (and those who think) they have their financial worlds together, and I’m going to encourage them to read and review it, and then share it with others. I’ve been a personal and professional CEO for over 25 years. I know you’re saying to yourself, “huh how can you be both a personal and professional CEO?” Well when I train adults in the business and community settings, and speak with youth in classrooms and youth centers, I always tell them that they need to see themselves as the CEO of their life, that they are a brand and that they need to live and act accordingly. So it was great to read that Patrice teaches the same to her clients. This book encourages and empowers you to build your personal brand and live your life as the CEO of that brand, while also showing you how you can professionally become the CEO of your very own company (or as an Intrapreneur you can see through the lens of the CEO of the company where you work). I always share with clients and those that I work with in the community that I am the CEO of my personal brand, Natasha Foreman Bryant (formerly Natasha L. Foreman). How I live affects my branding. I am the CEO of Foreman & Associates, LLC, a business management firm. The decisions I make personally and professionally affects my company and its stakeholders. If I’m irresponsible, lazy, shiftless, fearful, prideful, or stubborn my brands are negatively impacted. Every day I must consider my brands. We all should live our lives thinking this way. Patrice will help you to begin thinking this way and I’m so glad to see that she is dedicated to this, because not all authors, consultants, and leaders focus on that. Trust me, there is something in this book that you don’t know, forgot, hadn’t seen delivered (or explained) a certain way, or you hadn’t fully applied to your own life. Now you can use these tools to begin the necessary steps to provide the sense of security you want and need, and from there you can create or maintain the financial wealth that could possibly sustain future generations in your family. There isn’t a dull page in this book. Patrice jumps right in, no sugar-coating, no trite regurgitation of things you already heard, and no “mumbo jumbo”. If you want an enabler, this isn’t the book for you. If you want a rah rah session filled with frills and fluff, this isn’t the book for you. This is a book for women, not immature females who want to call themselves women. If you have fallen and you need to pull yourself up, this is the book for you. If you want to make sure you are on the right path, this is the book for you. If you want to become more interdependent and less dependent, co-dependent, or obnoxiously independent—-this book is for you. Let me explain my thinking here. You can be broke and alone but you can’t be broke and independent. Trust me you’re depending on someone. On the flip side, you can have all of the money and resources in the world, but you still need someone’s help, guidance, support, and encouragement. You didn’t make it to the top alone. Gain the knowledge to grow into a healthy interdependent woman that can stand on her own but has the sense to ask for help when needed, quickly seeks out the resources you need to learn and grow, and is reliable enough where someone can come to you for counsel and assistance. Here’s the thing, even the areas that you may already be well-versed in this book has great tips, affirmations, stories and testimonies that you or someone you know might find extremely helpful. As you turn each page you will instantly gravitate to Patrice’s “Real TALK”, “Real MONEY”, “UN REAL”, and “AFFIRM” sections. There is where you will find the quotes, affirmations, statistics, and tips that Patrice has gathered from research (and spending time listening to and learning from experts in the field) and shared with clients and in workshops. It was great seeing one of my husband’s (John Hope Bryant) favorite Winston Churchill quotes in the Wealth Begins Within chapter (pg. 16) that said, “…success is going from failure to failure without loss of enthusiasm“. Every person should memorize this quote, and apply it to their lives. Every successful person and every person who has gotten back on their feet after failing knows this quote to be true, especially if you’re an entrepreneur. I started my first business when I was 11 years old, and have since owned several businesses that I have started, stopped, and failed at—-and that doesn’t include the business ideas that failed before I could get them started. Failure is inevitable. It’s what you do afterwards that counts. How do you deal with it and how quickly do you realign your thinking so you can get back up? Patrice’s book helps you switch your thinking about your failed financial situation, your failure to not succumb to excessive spending, and your failure at reaching or maintaining the wealth you desire. The biggest problem in our personal debt crisis is our pride, shame, and yes even our greed. Greed is also the reason our country had a financial crisis. People have lost their homes, cars, and more because they were too prideful or too consumed by their shame to admit they needed help, and to go get the help that could save them. Oftentimes our greed is what first got us there. We buy cars and homes that we know deep down inside that we can’t afford, but we convince ourselves that we have to have it, and that somehow someway we will pay those bills each month. Then when times get tough our pride and shame kick in and we never get help, or we wait until it’s too late. We lose our car, home, lifestyle, dignity, and sometimes our family and friends. Patrice’s book helps people face this fact, and take the necessary steps to save themselves and build the lives they have always wanted, with the wisdom to not repeat bad habits and make fatal mistakes. Her book isn’t a one-size fits all nor is it the solution for all of your financial problems. But it’s a start and it gets you to the next level where you can see the finish line, or the goal you’re reaching for. If you think you don’t need this book and you have it all figured out. You really need to get this book. If you discover you were right, then great, pay it forward and give the book to a loved one. You can vouch for it and help someone else attain their goals. 1) Do you have student loan debt, credit card debt, facing foreclosure or repossession of your vehicle, or barely making ends meet? Read this book. 2) Have you lost your job, car, or home, or a combination of the three? Well you need the resources to get back on your feet. Buy this book. 3) Do you have problems saving money and reducing debt simultaneously? Read this book. You can pay off your debt and save money at the same time! 4) Do you have problems with budgeting effectively? Read this book. Do you wonder if you really need a budget? You really need to read this book. 5) If you don’t have a professional financial team providing counsel, helping you with financial decisions, and helping you to build a healthy portfolio then please read this book. 6) If you’re clueless about financial portfolios, then you really need to read Patrice’s book. 7) If your credit score is below 850 then you should read this book. Yes, even having a high 700 credit score doesn’t make you financially savvy or secure. You are only a few late pays (or one high credit card limit) from dropping to a mid-to-low 600 credit score. Trust me, it happened to me more than once. Co-signing for someone could drop your credit score. Acquiring that awesome no-limit credit card could drop your credit score. It’s possible, and Patrice’s book (and the access to resources, professionals, workshops and other books) could help you. More applied knowledge leads to growth and wisdom. Take what you learn in this book and apply it to your life, and then do check ups twice a year to make sure you are staying on track. 8) If you are married or considering marriage, please please please read this book. The number one cause for divorce is behind money and debt. This is not the 1950s ladies. Change your thinking that it’s solely your man’s responsibility to handle all of the finances. As we have taken on more professional roles and responsibilities, and achieved greater heights in education over the past 50-plus years we have also further exposed ourselves to more financial debt. Unfortunately most women don’t share the details of their financial position and amount of debt they have taken on while they are in the courting and dating phases of their relationships. Instead it’s usually not until they get married that they drop the debt bomb on their spouse. I’ve seen it happen with my friends, and I swore that I would never do it to my husband, and I didn’t. Upfront we put our cards on the table so that there weren’t any postnuptial surprises. For 20-plus years your spouse has been focused on their budget, debt, and responsibilities. Understandably he believes that you have been doing the same for the past 20-plus years. How do you think he would feel finding out that now your debt pile has been added to his? He feels blindsided and possibly like you played him. What if he isn’t strong in that area, what will you do? What if he passes away and you’re left to handle everything on your own? Additionally and most importantly, your personal debt shouldn’t be his burden. Woman up and take care of your responsibilities. Patrice’s book encourages this and I love it. You wouldn’t want your spouse handing you his pile of credit card, mortgage, car loan, and student loan debt expecting you to pay all or most of it, so don’t convince yourself to do the same. Look at it another way, if your finances aren’t in order and his finances aren’t in order (or something happens that disrupts his financial conditions) how will that impact your relationship? The blame game will begin quickly and your marriage may take a hit that you may not recover from. Remember, the number one cause for divorce is behind money and debt. So be proactive and get this book! 9) Do you have children or want some? This is a no-brainer. Buy this book immediately! 10) Are you the person that friends and family come to when they need money, “a loan”, “help”, “a favor”? Trust me, buy this book and read it. 11) If you are a big spender, giver, or a push over, you need this book to help you realize what you can and cannot afford to do in your life, and for others. This book and the other resources Patrice shares from other authors, will help you learn to say “no” to yourself and to others, learn how to become more disciplined, learn how to reprogram your thinking and habits, and learn how to live the life you want and need, while learning the real difference between wants and needs. 12) If you want to invest in yourself, your family, your career, and in your future. Then invest in this book. While reading this book I found myself saying, “yep I remember doing that”, “uugh, yep I’m guilty of this”, “okay okay, I’m on it”, and “oh shoot I need to share this with so-and-so she really needs to read this”. Trust me you will too! There were things that I already knew, already committed to habit, and then there were things that I have procrastinated on, or hadn’t seen explained the way Patrice did. What is also great is when she shares updated statistics that you may have been unaware of, it’s both informative and useful. As a wife, daughter, sister, friend, mentor, entrepreneur, and PhD student, I can say that Patrice’s book covers all or most of the areas in a woman’s life that needs help, tuning up, restructuring, or reevaluation. For less than $20 what sane person wouldn’t want to invest in themselves by purchasing this book? As I prepare myself for a future life of motherhood, I will use this book again to check up and check in, as I work to balance my roles of wife, mother, community servant, and entrepreneur. My children will need to learn early on their responsibility in life, how to grow the wealth they have inherited from their parents, and make the right decisions in order to be productive personally, professionally, and in the world in which they live. If they can’t learn from me and their father, then who will they learn from? My goal is to be their first role model and the one they can turn to and emulate throughout their life. Servant leader, wife, change agent, PhD student, CEO of Foreman & Associates, LLC, and CEO of the Natasha Foreman Bryant brand! Share your thoughts and if you are a small business owner, does this information lessen your stress or confuse you even more? For those of you who are anti-ObamaCare, does this change your mind or make you dig your heels in deeper? Let’s have some healthy dialogue! Copyright 2013. All Rights Reserved. Natasha Foreman Bryant. Paradigm Life. ObamaCare or the Affordable Care Act, Which is Your Preference? First let me start off by thanking my friend and colleague Steve Woodsmall for sharing the video link below with me. I know that the headline of my post has probably left all or most of you scratching your head. I’m hoping that it does and that you have not already voiced an opinion for either Obamacare or the Affordable Care Act. I say this because they are both one in the same, and oh yeah, so is Health Care Reform. What is amazing is that there are probably thousands and thousands of people who don’t realize this and they have voiced their opinions strongly within their households and publicly, either for or against ObamaCare, the Affordable Care Act, or Health Care Reform. 2) Teach people to think for themselves, research, ask questions, and not be so quick to follow the crowds. To put things bluntly, if the people in this video were cattle they would’ve already been slaughtered, because they allowed themselves to be brainwashed into believing one thing and one thing only, and they naively and ignorantly have followed this belief (and those who preach it) down a rabbit hole of nonsense. If they don’t know about this, what else are they blindly swayed by? What other topics have they been chiming in on and voting on the last 12+ years? How many of their relatives, neighbors, colleagues, and friends think and vote just like them? How many voters or potential voters does that add up to? Now think about this… think about all of the local, state, and federal elections that these individuals and others participate in regularly because they want their voice heard and their vote counted. I have heard voters over the years admit to simply filling in boxes on the ballot even though they had no clue what the topics and laws meant, or how they would be impacted. They would’ve been better off just voting for the one or two candidates they wanted, and leaving the rest of the ballot blank, but instead they took it upon themselves to cast a vote for things they knew nothing about. 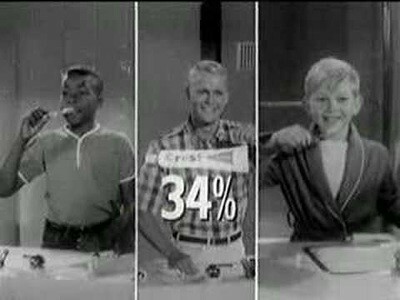 We’ve been brainwashed to chime in and ‘fill in the bubble’ on issues with the same carelessness as we do multiple choice exams where you simply fill in a bubble. How many of you recall teachers and proctors telling you to simply, “answer each question even if you don’t know the right answer, just fill in a bubble with your best guess because you may just get the right answer...” How many of you can admit to randomly filling in C-A-B, A, C, B, and so on, and reciting what you were taught that, “there’s a higher probability of ‘C’ being the correct answer“. Well there seems to be a lot of ‘fill-in-the bubble’ people in this country. This truly bothers me. Just like this ObamaCare versus Affordable Care Act debate and foolishness. Come on folks, with all of the technology and resources available to us, take the time to inform and educate yourself about topics, laws, statutes, etc., especially the ones that affect millions of people, and possibly even your own family. Just because you hear a message repeated multiple times does not mean that the message is accurate. Just because an image is shown to you repeatedly, doesn’t mean that what you see and what you are being told that you see are identical. If someone tells you that the letters G-R-E-E-N represent the color blue and you don’t take the time to research that, you will spend your entire life believing that to be true. A yellow building will always be pink if you never question or triple-check the person telling you that it’s pink. These are the critical thinking skills we claim we are teaching our kids to acquire and use. If you don’t know about the Affordable Care Act also known as ObamaCare, please visit http://healthcare.gov or call (800) 318-2596. TTY is (855) 889-4325. Small businesses with 50 or fewer employees can call (800) 706-7893. TTY is (800) 706-7915. 1) The Affordable Care Act is available for all persons who are uninsured or facing this gloomy fate. 2) It’s an open marketplace that allows citizens to find affordable insurance without the fear and burden of pre-existing condition clauses, and other red tape normally associated with the health insurance game. 3) If they are already insured by their employer or have self-paid insurance then they don’t need to do anything but enjoy their insurance benefits. 4) Those receiving state assistance already have Medicaid (which in California is Medi-Cal). As they transition into jobs and better opportunities, they will have more options afforded by the open marketplace. 5) Children of employees are now covered by their employer-sponsored insurance up to the age of 26, when most insurance carriers traditionally drop dependents from coverage between the ages of 18 and 23. 6) It doesn’t apply to or affect everyone. There’s so much more information that people need to discover about the Affordable Care Act that they won’t learn by simply watching the news, listening to radio or television programs, or gossiping about it in the barber shop or hair salons—or even on the golf course. Like or dislike the Affordable Care Act after you have been well-versed and done exhaustive research. We need people to really use their common sense and their critical thinking skills. Let’s think, educate and empower ourselves and our people! Are you or Your Spouse at Risk of Losing Employer-Sponsored Insurance Coverage? Today I wrote an article for my Business Management Firm, Foreman & Associates LLC, highlighting an article that I read about UPS’s decision to cut insurance coverage for 15,000 spouses of non-union workers in the U.S.
Read my article here: http://wp.me/p11NVc-5X and share your thoughts, experiences, and possible solutions for small business owners, and the employees that are caught in the middle. Copyright 2013. All Rights Reserved. Natasha L. Foreman. I’m a self-proclaimed “foodie”. I love food. I love good food. I love healthy food. I love not-so-healthy food, and I love food that could make me gain ten pounds just looking at it. So it shouldn’t be a surprise that I absolutely love BBQ, and that I won’t just settle for any kind of BBQ. By the time I was in 9th grade I had already made my own concoction of BBQ sauce, and came up with a way of making my ribs fall right off the bone. That’s a skill, by the way—so I don’t play when it comes to BBQ! Well, one of my dear friends reminded me that the Hoodie Awards were right around the corner, and it was time to vote. I won’t lie and say that I’m actively engaged in the process and festivities, but when I know there are certain businesses in the “hood” hoping to get exposure, kudos, more customers, and potentially more revenue—-I make the time to promote, nominate and/or vote for them. The category I’m focused on, if you haven’t figured it out already is—BBQ restaurants, and the best BBQ. Who has the best BBQ in the United States? Where in the “hood” can you find the best BBQ? Where is the best BBQ with the best customer service, and overall best experience? Well folks my vote is going for Bludso’s BBQ in Compton, California. If you search and find a Bludso’s location anywhere else, it’s not the real one! The original and real Bludso’s is located in good ole’ Compton, California, the city where I’ve spent many days as a child and an adult. Compton, where I used to tutor kids at the community college every Saturday for two years. Compton, where I have family. Compton, home of Centennial, Dominguez, and Compton high schools, and the Barack Obama Charter school. Compton, where a lot of famous people are from (or lived for a period of time)—even former President George H.W. Bush and his wife Barbara lived in Santa Fe Gardens apartment complex in the 1950s (when it was a predominantly middle class area). Compton, the city recently designated as an “Entrepreneurial Hot Spot” and one of the best places to start and grow a business, according to independent economic research firm, Cognetics, Inc.
There’s a lot of good, great, interesting, and newsworthy things and people coming out of Compton. So why be surprised that there’s also some yummy BBQ in Compton off of Long Beach Boulevard, between Alondra Boulevard and Cypress Street? Bludso’s won last year’s Hoodie Awards for best BBQ. That means a lot of folks agree with my friend that, “the food is delicious and customer service is impeccable!! !” and with three exclamation points, I think you can tell that this comment shouldn’t be taken lightly! Bludso’s BBQ has held the number one spot in the nation for best BBQ as awarded by the Hoodie Awards, and folks want to make sure that it remains in the top spot this year, and for many years to come. Today from 6:00am-6:00pm PST you can vote online at steveharvey.com for Bludso’s BBQ (or any other BBQ place you naively think has a shot at winning). If you live or will be in the Los Angeles area, you should stop by and try it out for yourself. You can vote for whomever you like, and if you think you know of a place better than Bludso’s, tell me about it. I’m always ready to chow down!